Conway attorney Johnny Gardner will read the Declaration of Independence from the steps of the Old Courthouse in Conway Tuesday morning at 10 a.m. The public reading of the Declaration of Independence by criminal defense attorneys was begun in Houston, Texas eight years ago by attorney Robert Fickman. It has caught on throughout the state since that first reading. Gardner, the recent winner of the Republican nomination for Horry County Council Chairman, liked the concept so much he decided to bring the tradition to Horry County. “When I read about what the Texas attorneys were doing, I thought it was a great idea to bring to Horry County,” Gardner said. The Declaration of Independence is the founding document of what has become the United States of America. On June 7, 1776, Richard Henry Lee introduced a resolution to the Continental Congress that Congress should declare the United Colonies free and independent states. Congress adjourned on June 11, 1776, after voting to postpone consideration of Lee’s resolution until it reconvened in three weeks. A Committee of Five was appointed to draft a statement to the world, in the three week interim, presenting the colonies’ case for independence. On July 2, 1776, the Congress adopted Lee’s resolution by a vote of 12-0 with New York abstaining. Two days later, Congress adopted an edited version of the statement, which became known as the Declaration of Independence. John Adams considered July 2, 1776 as the birthday of America. It became July 4th because that was the day the adopted Declaration was read out to the public. Governor Henry McMaster and Attorney General Alan Wilson rolled to big victories in Republican Primary runoff elections yesterday meaning there will be no changes to the political power structure in Columbia. Most of the incumbents in the General Assembly will be returning because they faced no opposition in the primaries or the upcoming November general election. When voters continue to send the same people back to Columbia election after election, they can’t expect changes in the way state government operates. 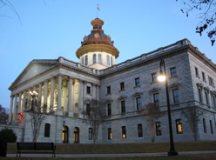 It is simple to suppose that special interests and lobbyists will continue to control the legislative agenda in Columbia at the expense of the average citizen. Horry County will continue to be a large donor county to the rest of the state because our legislative delegation is so weak. Roads that should be paid for with state and federal funds will continue to be funded by local option sales taxes. The real estate and development lobby will continue to oppose impact fees satisfied that current citizens will continue to pay for infrastructure costs associated with new development. Whether this was an attempt at voter suppression or just another example of the arrogance that continues to emanate from city officials, it does seem to show complete disregard for the election process. However, the citizens in Horry County will see some changes at the county level with the election of a new chairman for county government. No longer will over 20 minute response times to 911 calls be acceptable to council while large pots of tax dollars are accumulated to build Interstate 73 through Marion and Dillon counties to connect to Interstate 95. No longer will the needs of county departments be ignored because of personal animosities in Conway. When Horry County Treasurer Angie Jones agreed to drop her lawsuit against Horry County Government last month, there was an unwritten understanding that county council would include funding needs for her department in the budget for the coming fiscal year. Now that understanding not only remains unwritten, but also remains unpassed. During its third reading of the Horry County budget for Fiscal Year 2018-19 Tuesday night, council defeated, by a 6-6 vote, an amendment including budget enhancements for the Treasurer’s department. The budget amendment also called for additions in the $40,000 range each for the Clerk of Courts, Veterans Affairs and Voter Registration budgets. Council member Johnny Vaught introduced the amendment, seconded by council member Harold Worley. Council chairman Mark Lazarus spoke strongly in its favor. According to discussions of the amendment by council members, Jones identified revenue additions and/or savings in the amount of $123,000 for the coming fiscal year. Her request for budget enhancements would have only cost the county $111,000. Additionally, one position provided in the enhancements would have gone to collection of the nearly $88 million in unpaid property taxes that are owed to the county. In other words, the county would have made more money from voting for the enhancements than it saves by not voting for them. 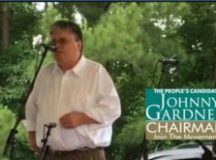 One week after defeating incumbent Mark Lazarus for the Republican nomination for Horry County Council Chairman, Johnny Gardner’s campaign message is already driving council discussions. Throughout his campaign Gardner spoke of putting “Public Safety First” and charging fees on new development to help pay for the impact it causes on county goods and services. During its regular meeting Tuesday night, council approved two resolutions directly tied to those issues. By an 11-1 margin, council member Tyler Servant opposing, council approved a resolution to encourage the South Carolina General Assembly to amend the current state Impact Fee law to make it more user friendly for local governments struggling to meet the costs associated with new development. Later in the meeting, Servant introduced a resolution to instruct staff to bring back to council a proposed advisory referendum question to address raising tax millage to fund increased salaries and additional personnel for police and fire/rescue departments as well as an additional police precinct for Carolina Forest. After discussion, it was agreed to split the issue into two referendum questions, one for police and rescue personnel and another for fire, because of the different ways in which police and rescue personnel are funded in the budget from that used to fund fire personnel. County Administrator Chris Eldridge was instructed to meet with the the Police and Fire/Rescue chiefs to determine the increased needs in their respective departments to fully meet the county’s public safety requirements. Council must approve referendum questions by the end of July in order to meet the August 15th deadline to have them included on the November 2018 general election ballot. UPDATE – After counting provisional and challenge ballots, the results of the election for Horry County Council Chairman were certified as Gardner 12,358 votes, Lazarus 12,160. An automatic recount will be held Friday June 15th at 10:30 a.m., but it is expected that there will be little, if any, change in the above results. Challenger Johnny Gardner defeated incumbent Mark Lazarus by 196 votes for the Republican nomination for Horry County Council Chairman. As no Democrat filed for the seat, Gardner’s victory in the November 2018 general election is a virtual lock. Election night results showed a count of 12,252 for Gardner to 12,058 for Lazarus a lead of 194 votes. There were problems with closing of eight election machines on election night, which had to wait until Wednesday afternoon to be counted. According to Sandy Martin, Director of Voter Registration and Elections for Horry County, an additional 100 votes were counted from the eight machines. When all were counted, Gardner gained two votes to his victory margin. Since the margin of victory falls within one percent of the total vote, an automatic recount will be conducted in accordance with state law. The election results will be certified by the Horry County Election Commission at 10:00 a.m. Thursday June 14, 2018. Lazarus will have until noon Wednesday June 20, 2018 to file an appeal of the certification. However, there do not appear to be any reasonable grounds to base an appeal that would need to show the 196 vote margin could be overcome. Gardner’s victory is considered a big upset by many political pundits in the area. Several compared it to former Congressman John Jenrette’s victory over 17 term incumbent John McMillan in the 1972 Democratic Primary for the, then, S.C. 6th Congressional District nomination. Who are the Real Thugs in Horry County? 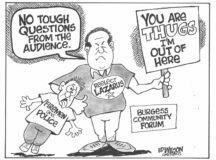 Lazarus called them thugs because several first responders asked him tough questions at the Burgess Community Forum last week, then, heckled Lazarus as he walked out of the meeting. The use of the word “thug” by Lazarus was ridiculous because its normal definition refers to violent, criminal type behavior none of which was in evidence at the forum. The term “thugs” was also given to anti-war protesters during the 1960’s and anti-nuclear protesters throughout the western democracies in the 1970’s. I would submit the term “thug” can also be applied to those in government who use their position and power to bully people or ignore the law to achieve desired results. 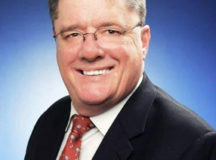 For example, after Horry County Treasurer Angie Jones request for an additional person in her office was denied by a combination of council members and the county administrator, Jones filed suit to gain the position. The county’s response to the lawsuit was to attack Jones’ credibility and performance personally, a typical bully (thug) type of response. Early this year, several council members said Lazarus was not going to intervene to attempt to help settle the case amicably, but was willing to let it go to court for resolution. When Jones walked out of a council meeting after the discussion ventured into the area of her lawsuit, Lazarus was quite critical with several derogatory comments aimed at Jones. However, when discussion at a political forum entered into an area that made Lazarus uncomfortable, he had no problem walking out. Does anyone else find that hypocritical? 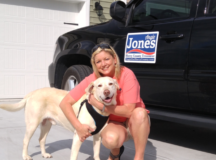 However, that attitude appeared to change after Johnny Gardner filed to challenge Lazarus for the Republican nomination for county council chairman and it was apparent Jones had significant support from the public for her lawsuit. The reactions surrounding Mark Lazarus walking out of the Burgess Community Forum Thursday night rather than face tough questions from the audience highlight the completely different approaches to governing of the two candidates for the Horry County Council chairman Republican nomination. Lazarus and Rep. Heather Ammons Crawford, a Lazarus campaign consultant, immediately attempted to label as “union thugs” those who put Lazarus on the spot with questions and jeered his walking out. Ammons Crawford even speculated they weren’t from Horry County, which just shows how little they are in touch with the constituents they presume to represent. One is Chad Caton, a former Horry County fire fighter/EMT who is now on disability from injuries suffered on the job. Caton is married and a resident of Horry County. He was a volunteer fire fighter for Horry County Fire Rescue for five years and a full time fire fighter for HCFR for three years before suffering injuries. Caton is not a member of the International Association of Fire Fighters local fraternal organization. The other is Casey Canterbury, a veteran Horry County Police Department officer who is a native of Horry County and a graduate of Socastee High School. He has served approximately nine years as a police officer in Horry County, five of those years with HCPD. He is the President of the local Fraternal Order of Police fraternal organization. Neither the IAFF nor the FOP are collective bargaining union organizations in Horry County or the State of South Carolina. Lazarus and Ammons Crawford know this. However, they apparently believe use of the term “union thug” will discredit the men in the eyes of the public and make the elected officials objects of sympathy. In 2014, when he last ran for reelection as county council chairman, Lazarus sought and received the endorsements of both the IAFF and FOP. 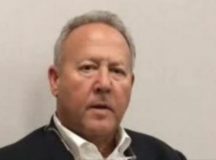 The key issue in the campaign for the Republican nomination for Horry County Council erupted last night at the candidate forum in the Burgess Community and council chairman Mark Lazarus chose to walk out of the meeting rather than discuss it. The issue is the treatment of public safety personnel in particular and county employees in general. According to numerous sources from rank and file county employees, Lazarus, in coordination with senior staff, treats them like automatons to do as they’re told and face retribution if they ask any questions.